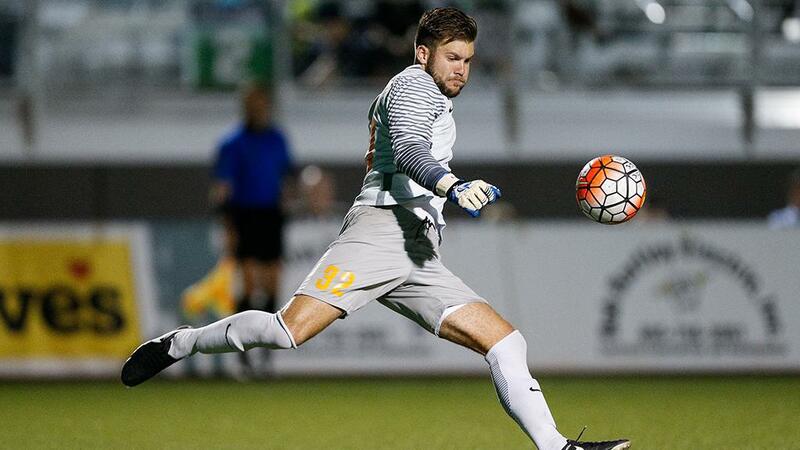 OTTAWA – Ottawa Fury FC announced the signing of goalkeeper Callum Irving on Tuesday, as the Canadian goalkeeper remains north of the border following a standout first professional season with Rio Grande Valley FC in 2016. The signing is pending league and federation approval. Irving joins Ottawa after spending time in the past season with both the Toros in the USL and on loan with the Houston Dynamo in MLS. The Vancouver, B.C. native recorded eight shutouts in 14 appearances with the Toros, allowing only nine goals. The 6-foot-1 goalkeeper played four years at the University of Kentucky in NCAA Division 1. He was a two-year team captain, two-time Conference Player of the Year (Conference USA), two-time NSCAA All-American and two-time NSCAA All-American Scholar. Irving is a product of the Vancouver Whitecaps FC Academy (2007-12), where his success there translated into opportunities in the Canadian National Team system with the U18 and U20 sides. He also competed in the PDL for the Whitecaps FC U-23’s, and this past January, he received his first call-up with Canada’s Men’s National Team for an international exhibition against the United States. “I am extremely excited to be signing with Ottawa Fury FC,” said Irving. “They are a fantastic club who have shown over their short history that they are committed to being successful on the field as well as growing the sport within Canada. Dalglish is confident that with the two recent signings, his club is going in the right direction heading into the debut season in USL. “With these two signing, couple with the others we have managed to bring in and re-sign, we now have the player profiles to play the game I want to see played,” he said. “It is now up to us to jell together and win as many games as possible in an entertaining manner.